Posts Tagged as "math tutor who dances"
Here’s a super powerful and easy study tip that you can use anytime. I’ve been using this study tip since I was in college, and continue to do this to this day. Are you studying … practicing your math … and you start to get spaced out? You feel like your brain is full? Maybe even getting a little frustrated? It’s time… for a solo dance party! I’ve found that even just taking a break to dance to ONE song can be enough to get me refocused. Sometimes I need like a three-song-long dance party. -actually help you get your math homework done faster because you return refreshed and renewed. Also, just FYI, professional mathematicians will deliberately take breaks in order to give their subconscious mind a chance to find unexpected connections and solutions. I just had a solo dance party myself before I wrote this, and I highly encourage you to do the same! Would you like your creative, passionate kid to sing and dance about math? Just click here to get started with your special application for my one-on-one math tutoring programs. Once your application is received, we’ll set up a special phone call to get clear if my approach would be a good fit for your child. I look forward to connecting! Need to remember something important? Breaking news! It dawned on me in 2005. 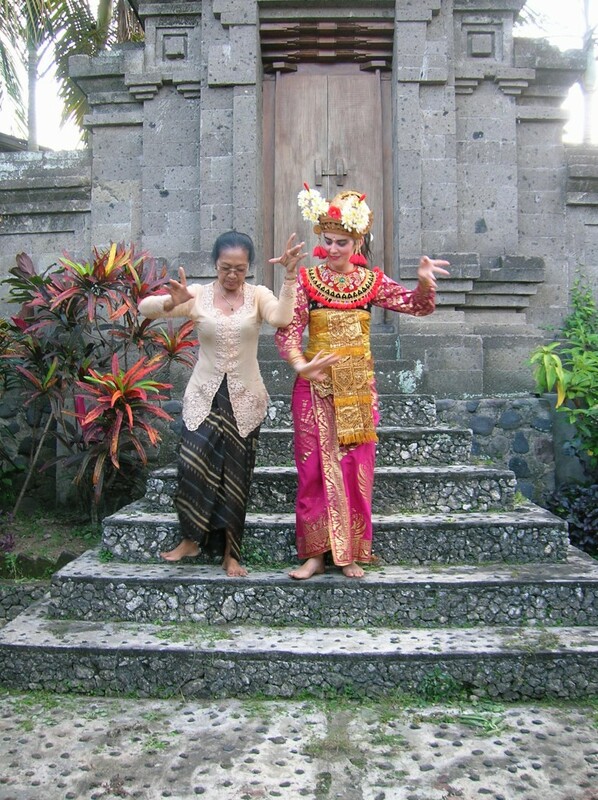 I was in Bali working with a renowned dance teacher every day for two hours to learn an intricate, difficult dance. I realized that if she told me that what I was doing was great, I would do the dance again and again and again for her out of sheer enthusiasm. And in doing it again and again, it would get even better. After our lesson, I reflected on my response to my teacher’s praise and how I’d responded to criticism in the past. In a flash of self-understanding, I realized: If I’m doing something I love and you tell me I’m doing great work, I will work sooooooo hard! However, if you tell me that I’m doing terrible, I want to stop working and die. Ever since, I’ve held this realization close to my heart. But now that I’m learning about all this new research about praise, I’m wondering: Is something wrong with me? Am I a praise junkie? Why am I so sensitive to what my teachers tell me? When teachers have told me that I was doing bad work, or even worse, that “I didn’t have what it takes,” I would spend hours and hours of mental energy processing those statements. If I am so bad at X, how was I accepted into program Y? Am I so bad that I deserve to be placed with other students who really don’t seem to care? If I am incapable of achieving XYZ, how is it that I was able to achieve ABC? And on and on. But now I’m realizing that those hours of processing negative messages never helped me learn a single note or dance move or improve in any way. In fact, some of those teachers’ discouraging statements led me to spend months or even years avoiding my true heart’s desire—or pursuing my true heart’s desire in utter solitude—out of fear that I was essentially inadequate. These statements didn’t give me any clear direction on what to do differently to improve! What could I do to achieve my dreams? What did I need to learn to prepare for school? If I really didn’t know a technique or skill, how could I acquire it? Then I remember my teacher in Bali. She did not come from a culture of excessive praise and self-esteem boosting. I believe in my heart that she really believed that I was doing well. She wasn’t just trying to make me feel good. But now I realize that when she told me I was doing well, she wasn’t just praising me. She was engaging with me. She was going to continue to help me to grow and improve. But the other teachers’ statements were statements of disengagement. They were no longer interested (or able?) to help me grow and improve. So maybe what really matters is engagement. Do you wish your child could be supported in learning math in a way that’s truly engaging, and supports their intrinsic motivation? Do you wish your child could LOVE math as much as they love to dance? Then I invite you to apply for my special one-on-one math tutoring programs! I’m here for you, and I’m so glad we’re connected!